Duane Thomas Applegate “Bud”, 79, died on Saturday, March 31, 2018 at his home in Libby of natural causes. He was born on March 24, 1939 at Muncie, IN to Benjamin and Alta (Thomas) Applegate. He graduated from the Western College of Auctioneering. He married Marian Webster on September 20, 1958 at Libby. Bud enjoyed coaching little league baseball when his children were younger. He also liked fishing, hunting and golf, he was an avid bowler and when not busy with work or his kids he rebuilt and refinished antique furniture. He was a member of the men’s bowling league and the Cabinet View Country Club. Bud worked for St Regis and Champion Lumber Company for 35 years, retiring from there, he and his wife Marian expanded on her antique business by hosting auctions and estate sales. They traveled throughout the Northwest going to antique shows and flea markets. 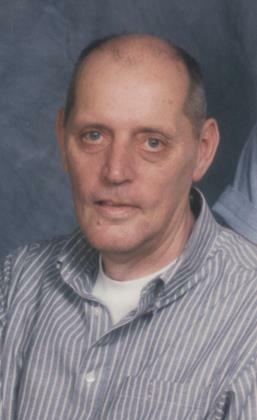 Bud was an intelligent person; he enjoyed games and puzzles that challenged his mind. When the Rubik’s cube came out he solved it in under a minute. He enjoyed game shows and trying to solve the puzzles, his mind was sharp to the end of his life and he was watching game shows when he passed. When Bud was a young man he played guitar for a band named "The Mavericks." They were a common site at the Gopher Inn for years. As Bud aged he enjoyed his grandchildren often playing catch with his granddaughters, and loved when his 3 great grandchildren came to visit him. He would feed the birds and squirrels at their house and knew each one individually. He was preceded in death by his parents, his wife Marian on July 13, 2017, sisters Joan Croucher, Teola Hazen; brothers Paul Applegate, Joe Applegate, Ed Applegate and Gene Applegate. Survivors include his children Thomas Applegate, North Bend, WA; Shala White, Libby; sisters Mary Johnson, Phyllis Hansberry and Linda Arnold; grandchildren Kayla Friss, Brook Simmons; great grandchildren David Friss, Logan Friss and Daniel Simmons. Services will be at 11:00 a.m., Saturday, April 14, 2018 at the Libby Christian Church. Arrangements are by Schnackenberg & Nelson Funeral Home in Libby. Online condolences and memories may be shared at www.schnackenbergfh.com.